Welcome to The Spa Traveller Awards, which feature some of the world’s hidden gems along with the best wellness day spas, best city spas for corporate wellness, best spa day and best spa retreat, best wellness hotel and resorts, wellness spa destinations and retreats. 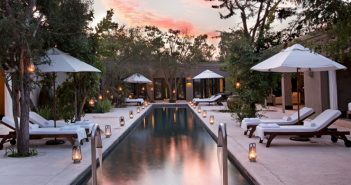 2019 is the 10th year since the launch of the global luxury spa and world-renowned The Spa Traveller Awards, which have become a benchmark for excellence within the spa and wellness industry. The spa and wellness awards provide a valid source of recognition for the best wellness centres in the United Kingdom and luxury wellness spas worldwide as voted for by readers of The Spa Traveller.